Information and times for Services on Yom Tov, Friday Night and Shabbos Morning. Contact information for Men's and Women's Mikvahs in Leeds. Please join us for B.L.T. 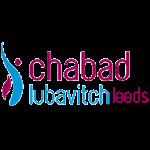 at Chabad-Lubavitch Leeds. Bagels, Lox and Tefillin runs every SUNDAY. Shacharit begins at 8.30am followed by a bagel breakfast. All welcome. Free Mezuzah Checking and a Free Mezuzah for the first 100 households. It is especially appropriate to have one's mezuzas checked during the month of Elul. Interested in keeping a full Shabbat? We are giving out Shabbat Kits free of charge! It contains everything you need to appreciate a Shabbat, the way it's meant to be.